Deluxe CordLights are intended for severe environments and are impervious to dust, dirt, chemical vapors, salt spray and other corrosive elements. Constructed of heavy-duty 14/2, 14/3 or 12/3 SJTW round cord with a 75°C (167°F) temperature rating, Deluxe CordLights are UL Listed, complies with UL Standard 1088 for Temporary Lighting Strings and suitable for a variety of temporary construction lighting applications. UL Listed. File #E190858. Meets all OSHA Standards. 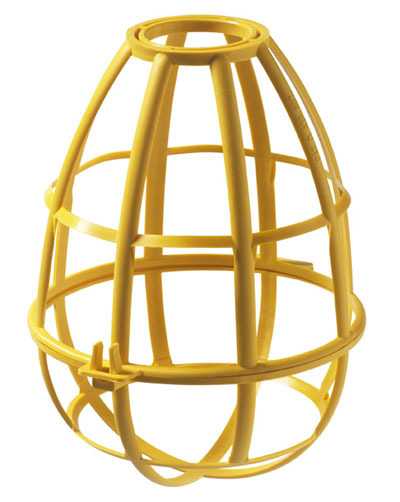 Complies with UL 1088 - Article 17.2 - lamp guard shall be constructed of polymeric material. The actual molded product is polypropylene. Flame class is V-0 meets U.L. 746C. Meets the requirements of the 2017 National Electrical Code: Article 590.4(F). 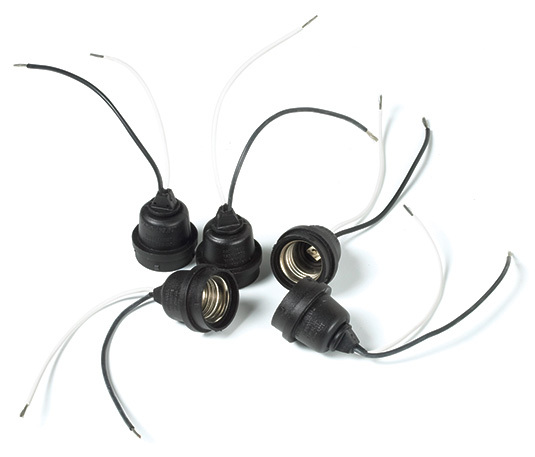 Weather-resistant lamp sockets feature rigid-mounted eyelets for hooks or wire to expedite and simplify hanging. 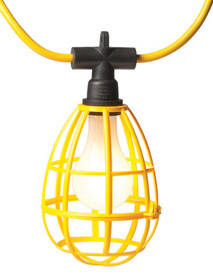 Unique open and secure closure clasp on the heavy duty bulb cage easily facilitates bulb changes. 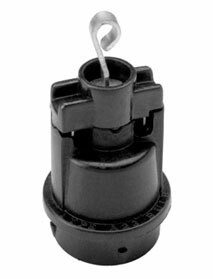 A patented detent "snap-off, snap-on" fitting on the lamp socket enables quick replacement if the Safety Cage becomes damaged. U.S. Patent No. : D.439,697. Recommended for use with A21 LED Lamp (P/N: 15681) or A23 incandescent lamp (150-watt maximum).